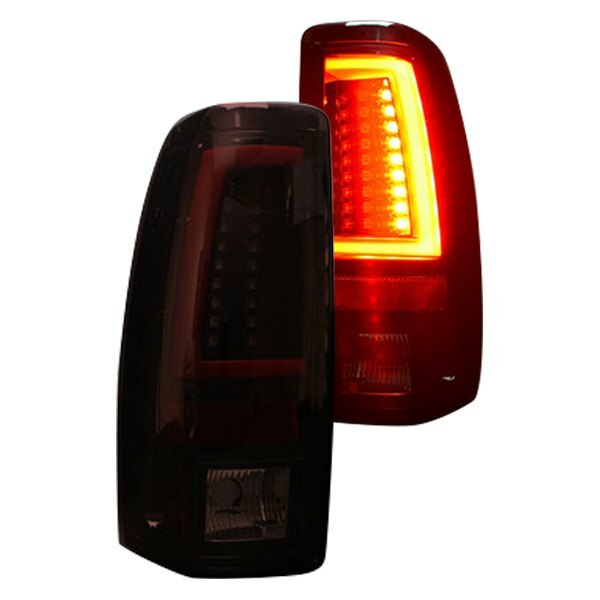 RECON LED Tail Lights: RECON is known among truck enthusiasts as being the manufacturer of some of the most popular and desirable LED Tail Lights available. 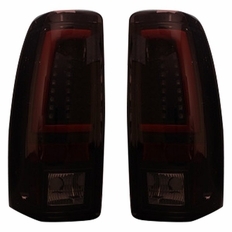 RECON LED Tail Lights are made to exacting standards that exceed the O.E.M Tail Lights installed from the factory. RECON LED Tail Lights are available in their 4 popular syles: RECON Smoke, RECON Clear, RECON Red, & and RECON Red/Smoke. RECON shows a commitment to quality that is evident in the fit & finish of RECON LED Tail Lights. We encourage you to "Get Lit" & set your truck apart from the crowd with our RECON LED Tail Lights today. When you buy RECON LED Tail Lights you're getting a product that looks good and is built to last. Sold as a Pair.